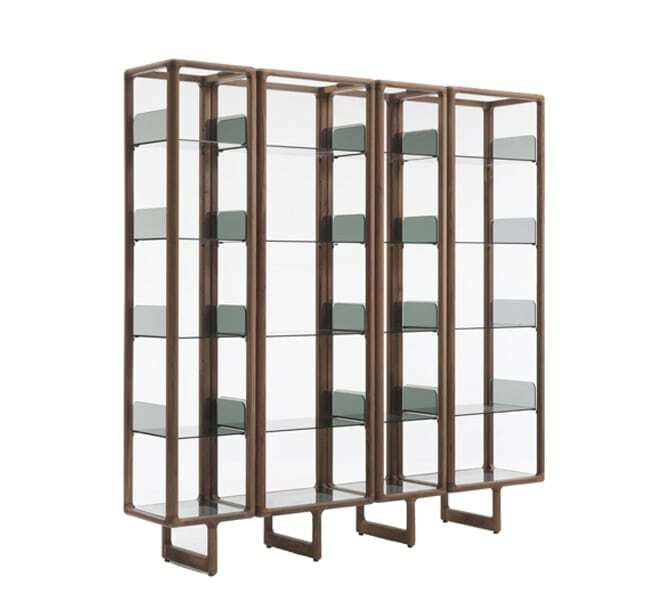 Modular bookcase with frame in white, black or graphite embossed lacquered steel. 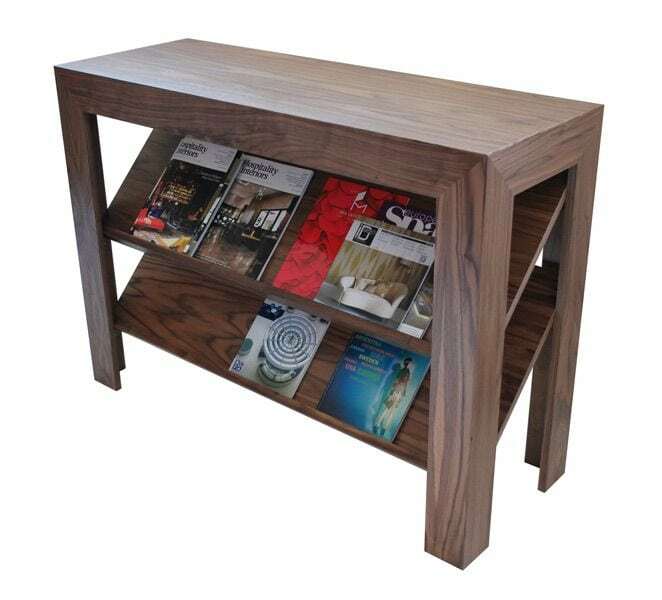 Shelves in Canaletto walnut or burned oak or embossed white or graphite painted wood. The frame can be assembled right or left (as one wants).